This level hard difficulty and you need to use few steps with good strategy plus require luck to complete this level. First try to break blockers by playing near or use special candies like striped candy. After try to break timer as soon as possible and break jellies to reach requirement. 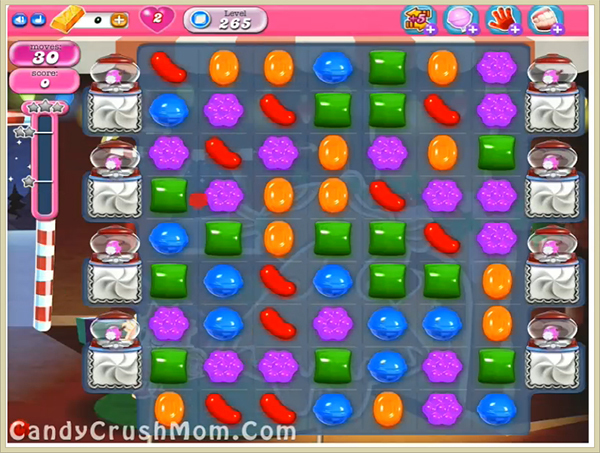 You might need colorbomb to make combo with striped candy to complete this level within 30 moves. We completed this level with 663820 score using colorbomb and other strategy that we share and got three star score at the end of the level.